Ever since the French Parliament refused to ratify the European Defence Community (EDC) in 1954, the European Union has struggled to co-ordinate the defence policy of its member states. But now that Belgium is preparing to replace its fleet of fighter jets through the launching of a tender process called RFPG (request for government proposal), Paris is giving renewed impetus to the plan by putting 34 Rafale jets on the table. Presented to Brussels by a delegation from the French Ministry of Defence in May, the offer contains more than the mere provision of Dassault’s Rafale jets. In fact, Paris sought to emphasize the political dimension of the plan, which includes various cooperation plans, the training of pilots and the pooling of various resources (including simulators and replacement parts). The fighter fleet would also have access to French airspace and the Charles de Gaulle aircraft carrier. The French offer also comes with economic returns of €20 billion for Belgium, as well as the creation of 5,000 jobs. Finally, the offer comes with tech transfers, and would allow Belgium to weigh in on the future development of Rafale, and implement the FCAS (Future Combat Air System) program aiming to replace the Rafale and the Eurofighter EF-2000 Typhoon – the fighter jet currently in use by the German air force. In other words, the ambitious French project falls within the scope of relaunching the long-sought goal of establishing a functional European defence union. And it couldn’t have come sooner. “What Europe lacks most today, what European defence needs, is a common strategic culture.” With these words, Emmanuel Macron called for the revival of the EU’s common defence and security policy on September 26, 2017. Following the United Kingdom’s coming exit from the European Union after years of hostility to the project, Donald Trump’s reluctance to keep funding NATO, and the host of crises and threats at Europe’s borders (such as the annexation of Crimea, the refugee crisis, the wave of terrorist attacks, cyber-terrorism, Middle Eastern crises), European security needs to be reassessed. Some steps have already been taken. On November 13, 2017, the ministers of defence and foreign affairs of 23 of the EU’s 28 countries – including Belgium – signed more than twenty agreements with the aim of activating the Permanent Structured Co-operation (PESCO), the first step in establishing a true European defence union. This progress was hailed as a “historic moment” by the High Representative of the Union for Foreign Affairs, Federica Mogherini, providing a tool that, according to her, should “allow us to develop our military abilities even further and to strengthen our strategic autonomy”. In the same vein, France and Germany have unveiled an ambitious fighter jet program that would replace the Rafale and the Eurofighter within 20 years. The French and German ministries of defence met on April 5, 2018, to formalize this key move towards the goal of European strategic autonomy – both from an industrial and operational point of view. Belgian Defence Minister Steven Vandeput has recently confirmed having received only two offers for his country’s tender – an American and a British one. 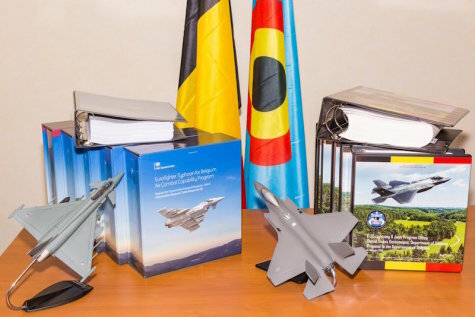 But unlike the offers tabled by American and British companies for Belgium’s fighter fleet, the project advocated by Paris and Dassault is fully compatible with the European defence union. As Amaury Gatinois, a competitive intelligence expert, pointed out in a recent piece, not taking the French offer into account would amount to nothing less than further foot-dragging on the goal of securing Europe’s defence. With rumours swirling that the government is leaning towards the American offer, and that the tender was in fact decided in 2015 – before it even started – the message being sent to Belgium’s European neighbours is not very reassuring. And that’s unfortunate, as Brussels shouldn’t pass up on the opportunity to put Europe first. Click here to see the original article, on the EU Reporter website. (EDITOR’S NOTE/ To be fair, the offer tabled to BAE Systems on behalf of the four-nation Eurofighter consortium is another European option, although its industrial and strategic advantages are not as extensive. The US offer, based on the Lockheed F-35, offers no offsets, only opportunities to compete for production work.